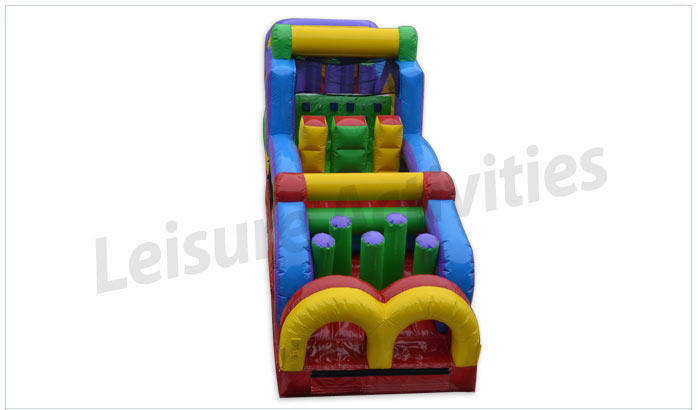 This rockin obstacle is sure to be a hit at any event or backyard party. 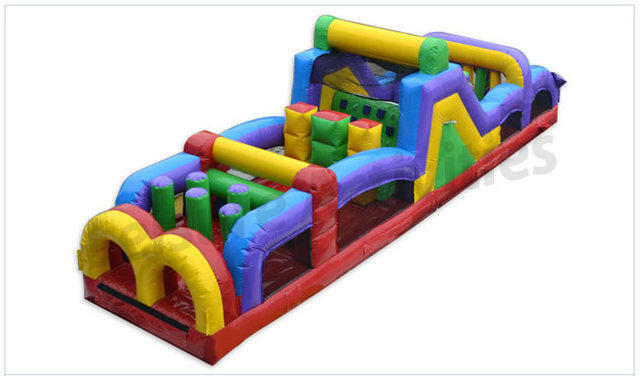 Bright colors, multiple popups, popouts, logs and tunnels, it even rocks a climb and slide in the middle. This unit can be combined with our 18 foot tall, 32 feet long double lane wet or dry slide to make 73 feet of fun in one unit.